Touring parts of Vancouver Island, I drove into Campbell River on 13Sep2010. I was invited to stay with aviation writer Dirk Septer for a few days and the following day we set out together to have a look at the various floatplanes at The Tyee Spit, as well as at some aircraft at the airport. Besides several operators present (see my general account CANADA 2010), here is Sealand Aviation based. Dirk introduced me and we were allowed to have a look in the hangar and the workplace. Sealand Aviation's Manufacturing Division is well-known for its capability for custom manufacturing simple parts or assembling sophisticated products. Bill Alder founded Sealand Aviation in 1981. One of the projects being worked on here is fitting the TRACE engine, for turbine power, on the deHavilland DHC-2 Beaver airframe. 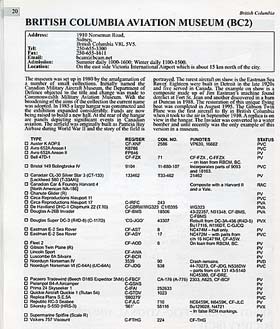 TRACE Engines of Midland-Odessa (Texas) received on 13Oct09 its Production Certificate from the Federal Aviation Administration (FAA) to manufacturer and support the FAA Certified TRACE 600-hp reciprocating aircraft engine for world-wide use in General Aviation. With 600 horsepower, the TRACE engine offers aircraft manufacturers the ability to offer a powerful reciprocating engine at competitive turbine pricing, which allows for more affordable aircraft to be introduced in the market. I didn't see a single identifying mark on this forward fuselage. This remarkable floatplane C-GELX is a Pezetel PZL-104M Wilga 2000, c/n 00010010. This type is manufactured in Poland (C-GELX in 2001) by Panstwowe Zaklady Lotnicze Warszawa-Okecie S.A.
C-GELX has been registered to the	owner Ye Zhang of Vancouver since 01Mar2010. DeHavilland DHC-2 C-FSCM (c/n 1583) is undergoing maintenance with Sealand; it has been registered to Port Eliza Booming Ltd and is normally based in Parksville, B.C. Next we went to Campbell River Airport, a few miles out of town; Sealand has another maintenance facility here and I came across an 'old friend' here: N877MG ! When I photographed this fine classic transport way back in 1997, at Hayward Air Terminal,CA, I had only recently taken an interest in 'propliners'. And at that time I was told N877MG operated for the San Francisco Fairmont Hotel and was fitted out with a deluxe interior as well as a weather radar, hence the peculiar nose. 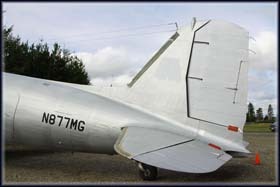 My research then showed N877MG had been registered on 24Jan96 for Victoria Forest and Scout LLC (San Francisco,CA) and it was later, on 04Aug06, reregistered to John T. Sessions Historic Aircraft Foundation of Seattle,WA. to whom it is still registered. More	info can be found, as well as that 1997 photo, on my page More Gooney Birds. 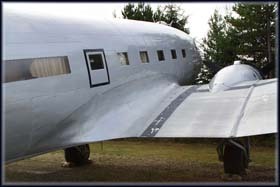 Now fitted with a historically correct DC-3 / C-47 nose. THE CHUNG Symbol- In the latter part of July 1942 General Chennault sent CNAC a message, urging them to adopt an insignia and to put it on all their planes to help the 14th Air Force pilots in identification. Captain Charles Sharp called Z.M.Whong, Y.Y.Zee and W.C.McDonald,Jr and directed them to get this job done immediately. They painted this Chinese character on all their aircraft in short order, so advised General Chennault and sent him photographs of their planes with this character on them. See My Visit to Historical Flight Foundation in 2014 for the result of the work done here at Sealand! 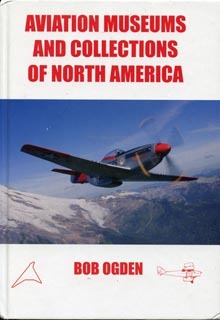 I came across N877MG once more, at Flabob airport in California; see MY CALIFORNIA 2018 page 2 REPORT. 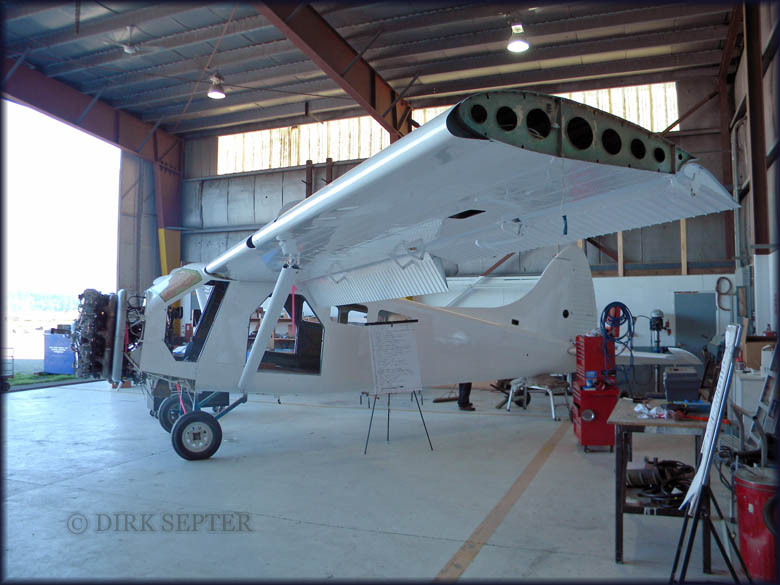 Sealand Aviation overhauls, rebuilds, salvages and repairs light aircraft. C-FTAL is a Cessna 305C (c/n 24605), this piston-powered aircraft has been registered to The Air Cadet League Of Canada, British Columbia Provincial Committee	since 18Dec2001. Sealand Aviation is known worldwide for the DHC-2 Cabin Extension Kit and the Alaska Door. 36% of the DHC-2 Beavers flying have a Sealand Cabin Extension Kit! And almost 20% of Beavers flying have the Sealand Alaska Door. Sealand is also part of the Viking Air team, working with them to manufacture the new DHC-6 Twin Otter Series 400. 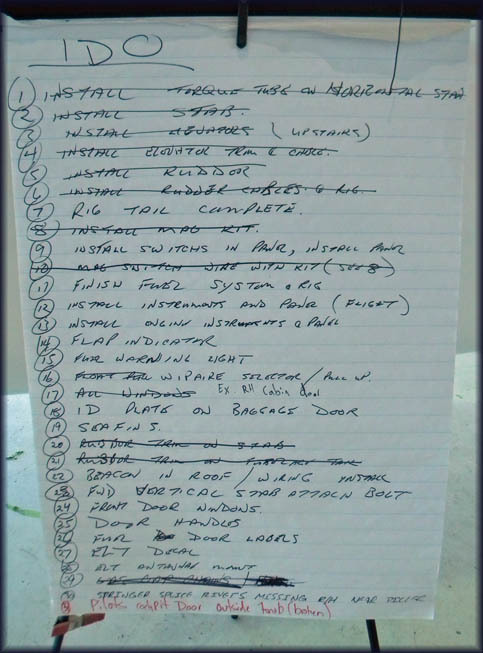 "VH-IDO is coming along nicely, see the photos I took today, 01Oct10 - and the 'to do list' is getting shorter!" DHC-2 VH-IDO (c/n 1545) of Bush Flights & Seaplanes, ground looped on water at Horizontal Falls, Kimberley, Western Australia 09Aug09. 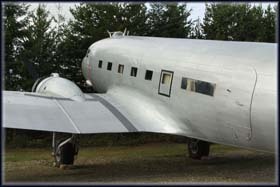 It was shipped to Sealand Aviation for repairs and modifications. By 29Oct10 work had been completed. More photos and details of its history (and future!) can be found on Neil Aird's remarkable DHC-2 website. Outside, at the back of the hangar, is an open storage area which has an interesting collection of 'damaged goods' - Sealand Aviation's services include aircraft sales, storage and servicing. N3455V is a Cessna 195 (c/n 7152), registered on 09Nov06 to Larry L. Claunch of Dallas,OR. Why it ended up here at Sealand's I do not know, was it damaged? 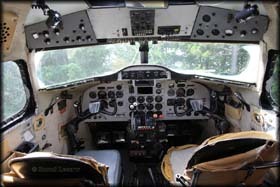 Photos on Airliners.net show it on floats in 2005. 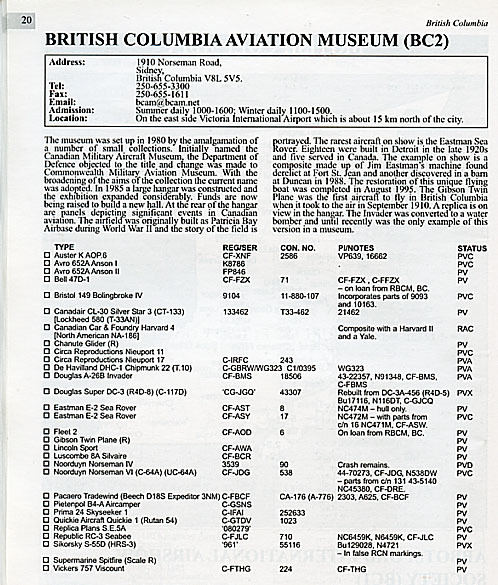 Cessna 180K C-FIBR, registered to Air Nootka Ltd (Gold River, B.C.) 27Apr94, cancelled on 07Jan06. 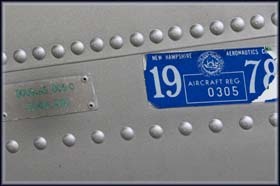 "Some people believe that you can rebuild a plane if you have the data plate and the log books. That's not quite true, but we can repair or replace everything but the data plate." A huge selection of floats for storage & for sale! C-GGBK is an Aerostar Yak 52, imported in 2007, registered 26Sep2007 to Sealand Aviation.